Affordable high rise living with Washington Park Views from your large 140 square feet, southeast facing corner balcony. The large living room is welcoming from an open entry with views straight through to the outdoor space. This is a naturally lit, cheerful unit with great vibes. The dining area transitions to the kitchen complete with additional sunlight and breakfast bar. Among its modern features are stainless steel appliances, granite countertops including ample cabinets and cupboards. The private master suite is rather spacious with a 10 X 7 walk-in closet and direct access to its own ensuite. There’s plenty of storage too in the unit with an additional storage level in the lower part of the building. 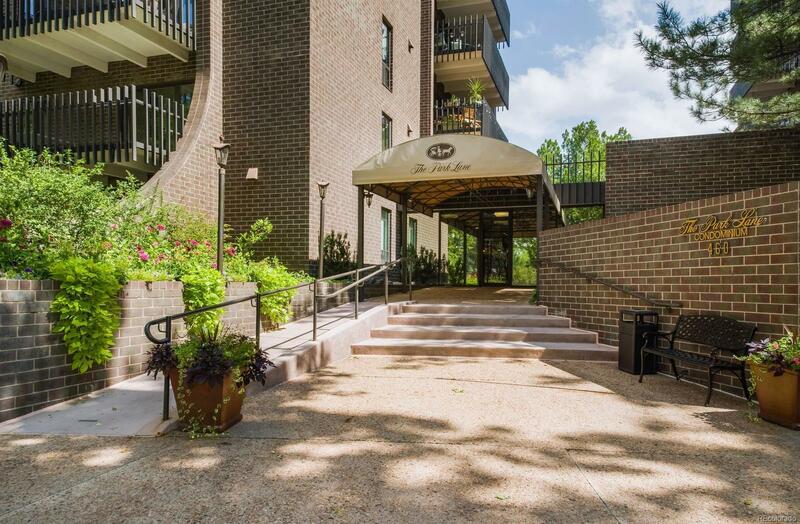 Amenities abound with two swimming pools, 24 hour front door service, heat and central air, cable and so much more. Don’t wait to see this one. If you’ve wanted to get into one of the most appreciated parks areas in Denver, Wash Park with 161 acres and trails is for you!